Franchising in the United States goes all the way back to Benjamin Franklin. Ben started a chain of printing shops and newspapers in the Colonies and signed his first franchise agreement on September 13, 1731, with Thomas Whitmarsh for a printing shop in Charleston, South Carolina. Ben’s third franchise was with Elizabeth Timothy, who published the South Carolina Gazette and is recognized as our first female newspaper publisher, remarkable for those times. After World War II, franchising exploded in the American economy after the passage of a remarkable federal law called the “Lanham Act” that allowed for the sharing of a brand so long as the brand owner controlled the quality of the products and services being delivered to the public. How franchise systems achieve consistency is of little importance to consumers; what they want when they make their purchasing decision is that the product or service they buy from any branded location is the same regardless of where they buy it from. Who owns the location or who manages the business on a day-to-day basis is not important to the consumer, but local ownership is the essential fact that distinguishes a franchise system from its company-owned cousin. There are nearly 800,000 franchise establishments in more than 120 industries employing over 9 million people in the United States. Franchising is the dominant creator of small independently-owned businesses in the United States and has been for decades. Even during the recent recession, while other business models contracted, franchising continued to expand — creating economic opportunities for new business owners and leading the nation in job creation. The typical franchisor begins as a small, locally owned business that has achieved some success in their neighborhood. Typically, they start on the path to franchising when a customer asks them how they can open a similar business; this question is often the trigger that results in new franchise systems being born. Over the next few months, the local business owners will work with lawyers, consultants, accountants, bankers, web designers and other professionals to design and develop the franchise system — a considerable investment. This investment can also be risky, because no one can guarantee the emerging franchisor that anyone will ever choose to become their franchisee, regardless of how much they have invested in developing the system. Opening any business is risky, and both the franchisor and franchisee are risk takers. Once the franchise system is ready, the emerging franchisor will generally spend months investing in advertising and marketing to recruit their first franchisee. If they are lucky, three or four months after they start offering franchises, their first franchise agreement will be signed. And if everything goes right, another nine months will pass before that first franchisee gets their location open and begins to pay the franchisor any licensing fee. For the franchisee, signing the franchise agreement is only the beginning. They then begin the process of borrowing money (often by taking a second mortgage on their home), looking for the right location, negotiating their lease, hiring architects and builders. The process also involves furnishing their location with the necessary equipment and fixtures, buying the products and ingredients they will need as well as attending training at the franchisor’s offices, attracting employees, training their own management and staff, and marketing their new business in their neighborhood. They do it all in the hope and expectation that customers will come through their door. Thankfully, sharing a brand with a recognized franchisor means they will often have customers who are already looking for that precise branded product or service even before the business is open. 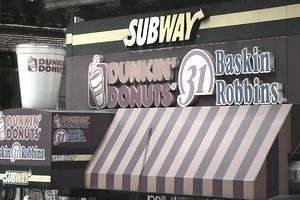 It is the sharing of a brand between two independent companies, with the neighborhood location owned and under the control of the franchisee, which makes franchising so successful. My first job was at a locally owned business, and most executives learn their basic work and management skills from similar first-rung positions. Franchising has become the largest trainer in the United States of entrepreneurial skills, and because of that many franchises, today are owned by individuals who started their careers working at entry-level positions, at market wages, in locally owned franchised operations. You hear today about unions, legislators and government bureaucrats claiming that franchisees and their franchisors are the same business and that therefore a small independent franchisee should be considered part of the larger company for unionization and employment practices. It’s sort of like saying that the tenant of an apartment and the owner of the building are part of the same family since they share a common address. Either the unions or legislators don't understand franchising, or more likely they are playing on the public and media’s lack of understanding to advance their agendas. Because union membership has been on the decline for decades, creating the perception that franchisees and franchisors are one entity advances unions' organizational initiatives (and has become a major part of their survival strategy). The creation of high-wage jobs in the United States has been hampered due to over-regulation, causing an economic crisis for low-skilled workers. Advancing union organizing and supporting the "Fight for $15" is meant to mask the problems of over-regulation and is a political replacement for looking for practical solutions. Whatever the reasons unions, legislators, and regulators use in attempting to redefine franchising, their argument makes little sense given the basic facts of the franchise relationship. Franchisors and franchisees are independent businesses that share a brand under a licensing agreement. From a practical point of view, the role of a franchisor is to grow their number of franchises and to support those franchised businesses before and after they are open. The role of the franchisee is to serve the public branded products and services in their local markets to the quality standards as defined by the franchisor; the franchisee has control over the day-to-day management of their business, including their employees. Both the franchisor and franchisee are independent businesses — the only real control that a franchisor has over its franchisees is ensuring that the system’s shared brand experience is delivered to the same level of quality that consumers expect and the law requires. The power of franchising is that over the past 230 years, we have learned how to share a brand and achieve the goal of consistent sustainability by allowing independent business people to own and manage a business, and in the process create for themselves wealth and vital local employment opportunities. Thriving, locally owned businesses today have created the most successful growth in the middle class than at any time in history. Because of franchising, local wealth is created in communities; solid careers are born because of the skills learned in first-rung positions that can evolve into management or even franchise ownership. Consider that if you work for a non-franchised company, the chance that you can ever own a location under that brand is zero. But for workers at a franchised location, that ownership goal is achieved every day in the United States. It’s an incredible opportunity when it is done well. For a person looking to move up into the middle classes, it’s the opportunity for wealth creation through the ownership of their own business. For our youth, it's the opportunity to get a first-rung job, gain experience in the workplace, and have independently earned money in their pockets. For older or more experienced workers it's an opportunity to advance their management skills and possibly learn enough to start their businesses. For the consumer, it's the assurance that when they make their purchasing decision, they can do so with confidence, knowing that it is their neighbor who owns the business.